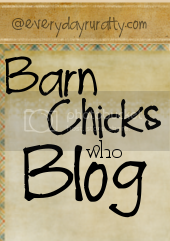 You might already know that I'm having a barn party this week to celebrate my 4 month Blog-a-versary. 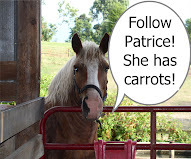 If not, please click on the barn button below and join the fun. Giveaway #1The first giveaway will be for these pretty earrings made by a lady in the area. This is just a little something to start the week off. They are very pretty. I will have one item each day as giveaway and they will stay open until midnight on Saturday 10-23-10. Things will get more interesting as the week goes on! Note: Drawing for Continental U.S. only. Sorry to all my friends who live further. Please join us for the Barn Party anyway. Maybe I can bypass the postage issue and send them by carrier Chicken! I voted! and I am a follower of your daughters blog :) That was easy. Oh this is fun, I voted, and following your daughters. Okay I just voted for you on picket fence and I became a follower of your girls. I don't tweet so I guess I am outa there on that one. Those are gorgeous ear rings. I hope you get tons of entrees. I don't wear earrings anymore so don't need to be put into the drawing for them. Just wanted to say I've voted for you several times on the Picket Fence button. Love your blog! Count me in and I am following your daughter's blog. I don't twitter either, so thus I am out on that one as well. I love the idea of this party so much fun! I follow Guten Go Bye-Bye. :( Too bad, but I love your blog anyway! Fun earrings! I am not joining in since I don't have piercings but I just wanted to say CONGRATS! Take care! Just followed you! 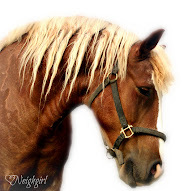 Love the header and idea of the Barn Party! You really haven't been down that long, when you think that you just got sick last week. 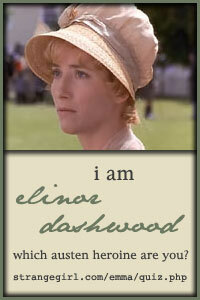 Oh we love the Importance of Being Earnest too. I am getting ready to vote too. Ok, I think I have done all the things you asked me to do on the earring day except tweet, and I am going there now! Having fun? Yep! I'm done tweeting now. :-) Following daughters too and gave them a vote on the fences too! Stumbled upon you blog and I really like it =) Just wanted to say hi!